vegetables etc. 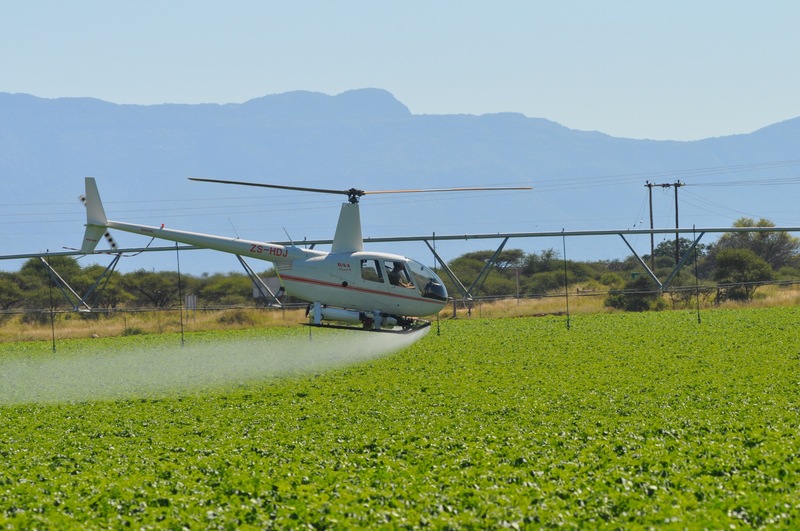 Any agricultural crop can be sprayed with helicopters. to 100 ha are sprayed per hour. Excellent results are attained on potatoes, wheat, maize, vineyards, vegetables etc. 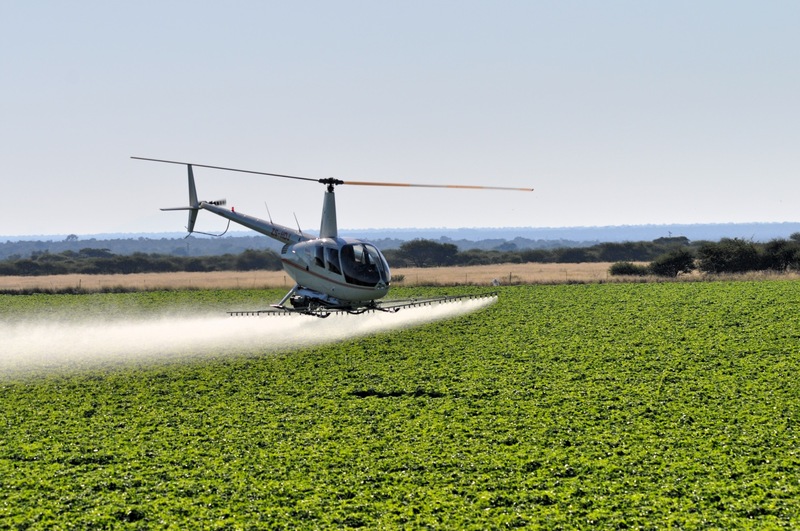 Any agricultural crop can be sprayed with helicopters. Common volume utilized due to the registration of agro-chemicals is 30 litres per hectare. 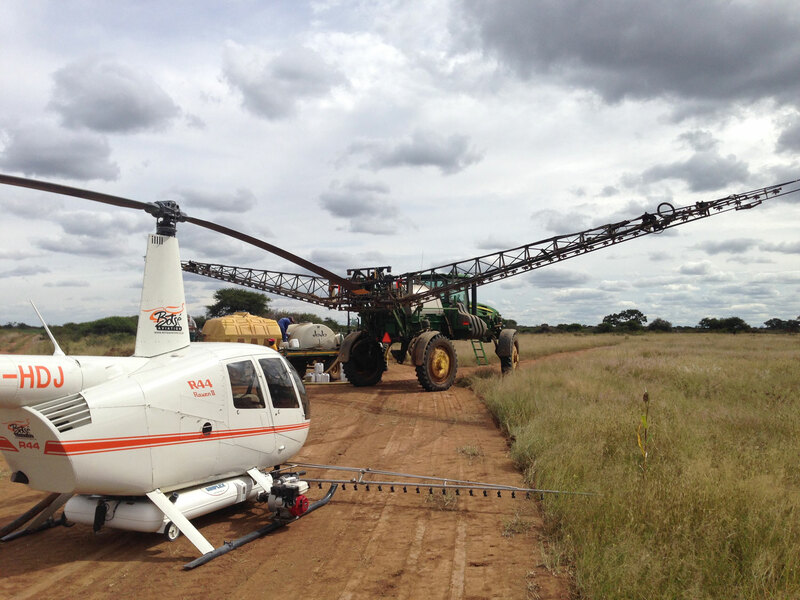 Dependent on the size and shape of the field 50ha to 100 ha are sprayed per hour. Foliar feeds and liquid fertilizers are applied very successfully. Botse Aviation specialises in a wide variety of tasks including game capture. The game capture services include herding and darting services. All our pilots are game capture/cull rated and has a great deal of experience with wildlife.